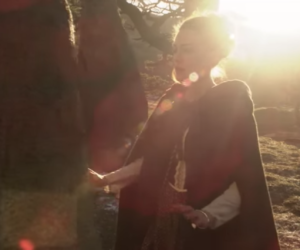 Welcome back to our occasional series, “How They Made It,” where we explore the food and drink of Outlander. Here’s a look at Brianna’s mini Boston Cream Pie for Roger. Slainté! Roger was so cute when he showed up unannounced at Claire’s home in Boston, and he was so grateful for Brianna’s “American” Christmas of lobster rolls and “Boston Crrrrrrream Pie” (oh, that brogue…I could listen to him forever). I’ve read some criticism of Roger and Brianna’s chemistry on the show (especially this last season), but I love them together, so awkward and bumbling. I think they’re not meant to be so easily a couple as Claire and Jamie but, like lobster at Christmas, they have a different kind of relationship. And like cake, cream and chocolate, they do go together, and go together sweetly…like Boston Cream Pie (see what I did there?). And since Brianna is like Jamie junior, I think a mini Boston Cream Pie is in order. Ok, let’s get the name question out of the way…according to “All Things Knowledge” (aka Wikipedia), this dessert “acquired its name when cakes and pies were cooked in the same pans, and the words were used interchangeably” … and … “[as] a direct descendant of earlier cakes known as American pudding-cake pie and Washington pie, the dessert was referred to as chocolate cream pie, Parker House chocolate cream pie, and finally Boston cream pie” having been invented at the Parker House Hotel in Boston in the late 19th century. Thanks, internet! 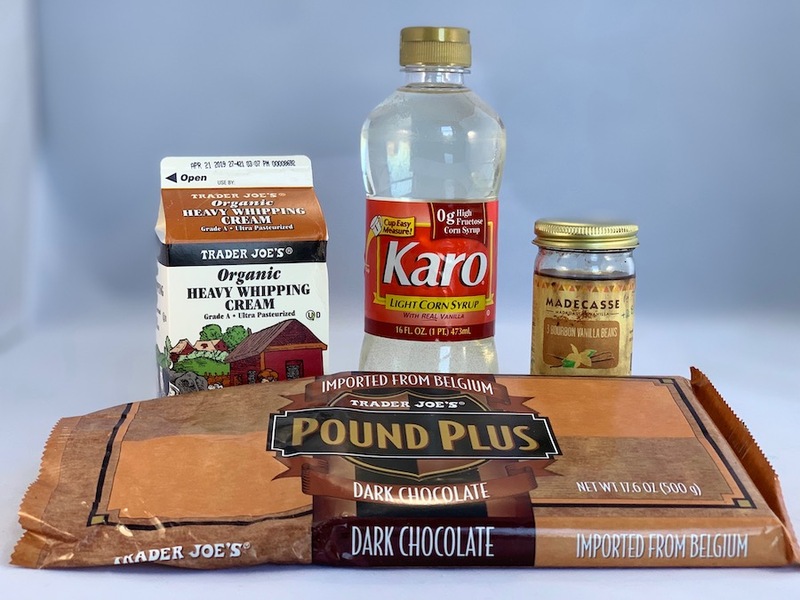 There are, as you’ve already guessed, three parts to making Boston Cream Pie – baking the cakes, making the pastry cream (aka crème pâtissière if you want to get fancy) and making the chocolate ganache. 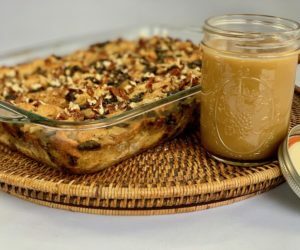 The first and last parts are straightforward: the cake is a classic hot-milk-and-butter cake, so called because you use…uhm…hot milk and melted butter in the batter. This cake type is a richly flavored sponge – moist, and tall. Chocolate ganache is…well…fudgy chocolate nirvana. ‘Nuff said. It can be used to glaze cakes (as it is here) or as the filling for tarts and truffles. Remember the two-bite Chocolate Ganache Tart made with short crust pastry? Yup, that’s just chocolate ganache filling the pastry shells. Easy peasy. That middle part is making the pastry cream, and it could be a little tricky the first time out. 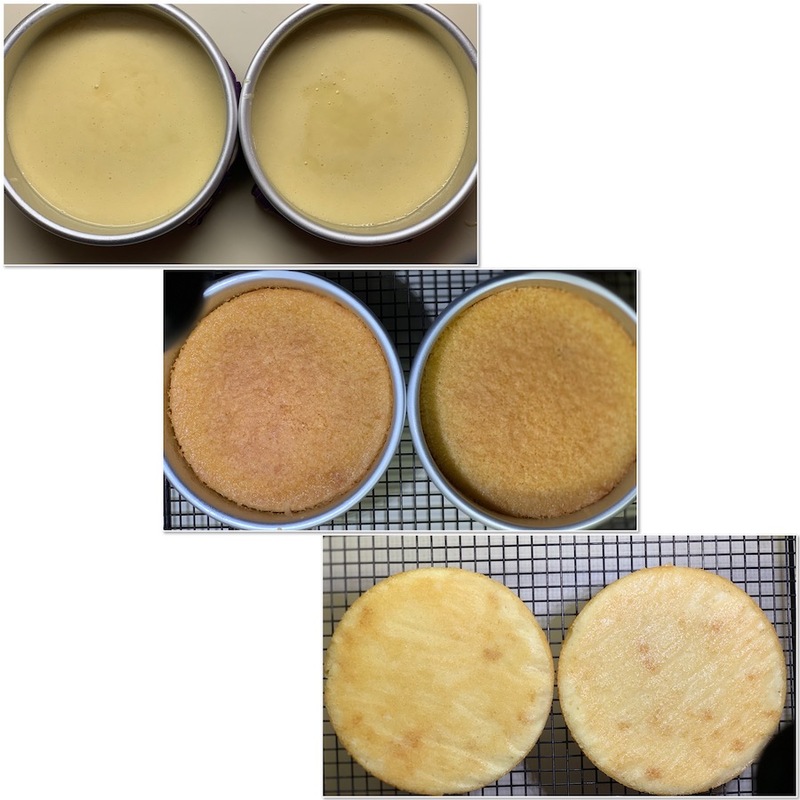 It’s really not a difficult technique, just a slightly thicker version of vanilla custard pudding. The most challenging step to the pastry cream might be when you have to temper the eggs, i.e., bringing them slowly up to temperature before adding them to the hot milk. This step helps avoid little pieces of cooked egg in your pastry cream. If, however, you do see some egg pieces, straining the finished cream through a sieve will take care of them. (Side note: if you want to make vanilla pudding, use the same technique as the pastry cream, just reduce the cornstarch to 2 Tablespoons…it’s guaranteed to be much better pudding than anything you can get out of a box!). 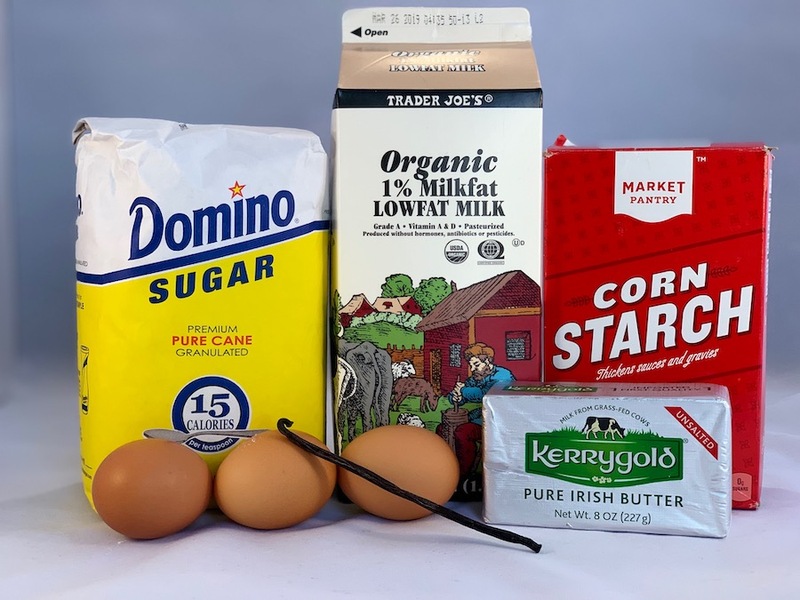 Stir together egg yolks, sugar, and cornstarch until smooth (top row) while the milk mixture heats up on the stove. Temper the hot milk into the eggs, then add back to the saucepan and whisk until it’s thickened (bottom left). Strain into a clean bowl to remove any wayward pieces of egg (bottom right). By the way, the pastry cream is flavored with fresh vanilla beans seeds (if you have them). Did I say vanilla bean seeds? No, flecks of flavor, more like! I don’t always use fresh vanilla, but I do when it will be showcased, like in pastry cream or Magic Custard Cake. 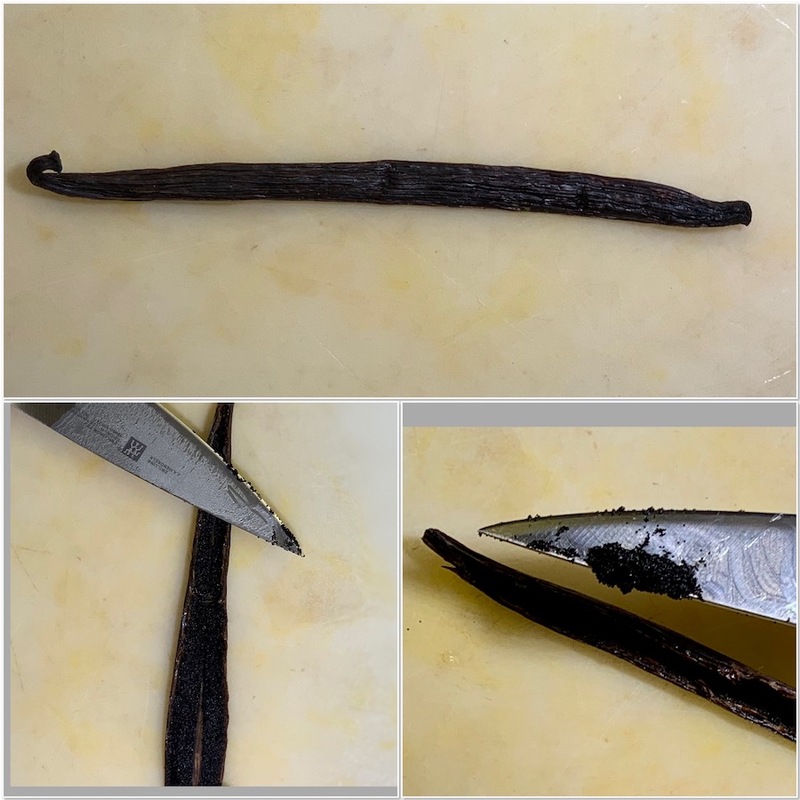 To use a fresh vanilla bean, split it lengthwise and scrape up the seeds with the back of a paring knife, then stir those flavor flecks into the milk mixture (along with the spent bean…nothing goes to waste here!). Also, don’t toss that spent vanilla bean after you’ve finished making the pastry cream…instead rinse the bean, then place it in a jar and cover with vodka to make your own vanilla extract. You’ll be rewarded with vanilla extract that’s both free and better than what you can buy. Score! 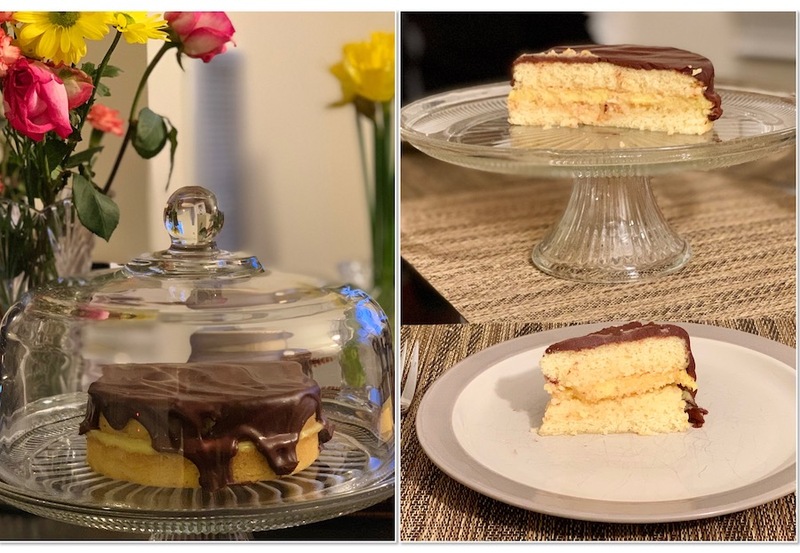 The mini Boston Cream Pie recipe that I used was adapted from King Arthur Flour, although the version of Boston Cream Pie that’s currently on their website has been changed from the one I’ve used before. My Mini Boston Cream Pie recipe is based on a scaled-down version of their older version (yay, math! ), and since I’ve had good luck with it, so that’s what I’m presenting to you. You can decide which recipe to use, but remember…choose wisely. Preheat the oven to 325°F. Lightly grease 2 6-inch round cake pan with baking spray, line with parchment paper, then grease the parchment. 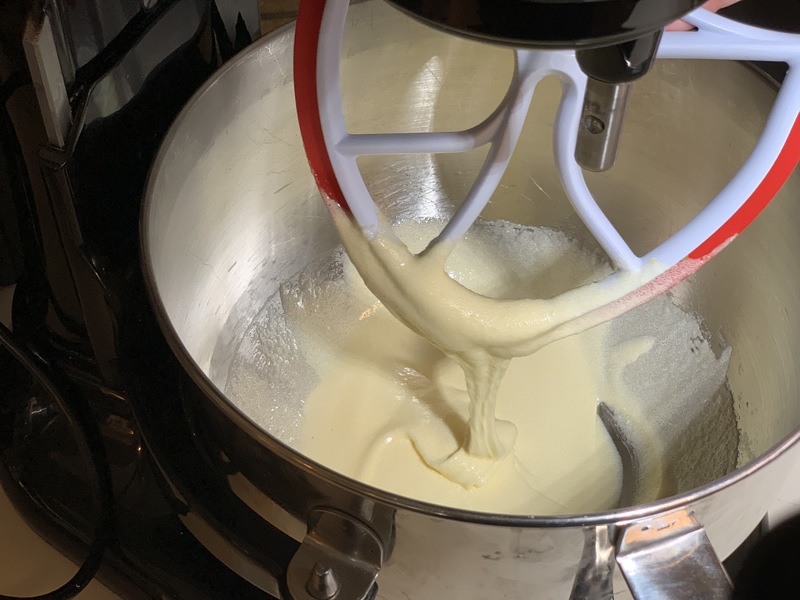 Beat the sugar and eggs together at medium-high speed using an electric or stand mixer until very thick (butter falls from the paddle in thick ribbons). This will take several minutes. Beat in the vanilla. Place the flour, salt, and baking powder into a sifter or sieve and sift over the cake batter. Mix on low speed just until combined, about 1 minute. In a saucepan set over medium heat, bring the butter and milk just to a simmer. Remove the pan from the heat, and stir the mixture until the butter is completely melted. With the mixer going, slowly add the hot milk mixture to the cake batter, mixing until everything is well combined. Scrape the bowl and mix briefly, just until smooth. The batter will be very thin. Divide the batter into the prepared pans, checking carefully for lumps of flour (smash or remove them as you spot them). Bake the cakes for 50 to 55 minutes, until it’s a deep golden brown and beginning to pull away from the sides of the pan. Remove the cakes from the oven, run a nylon spread or table knife around the edges, and cool in the pan for 10 minutes. Turn them out onto a rack to cool completely. Bring the milk, vanilla bean and 1/2 of the sugar to boil in a large nonreactive saucepan. Whisk the egg yolks in a mixing bowl and gradually add the remaining sugar. Whisk in the cornstarch to combine. Take about a ½ cup of the boiling milk and slowly add it to the eggs, whisking constantly. 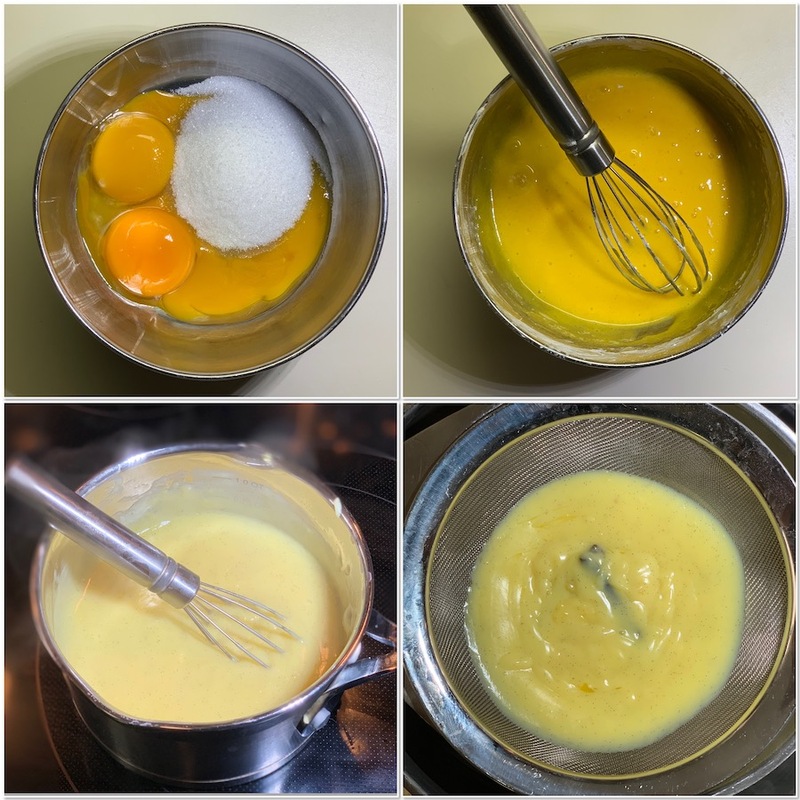 (This is called tempering the eggs, and will slowly bring the eggs up in temperature without cooking them You don’t want little pieces of cooked egg in your pastry cream). Return the yolk mixture to the pan and cook, whisking vigorously, until the cream boils and is well thickened. Allow the pastry cream to boil approximately 2 minutes, stirring constantly. Remove the pastry cream from heat. Fold in the butter until melted. Do not overmix, as this will thin the custard. Strain through a fine sieve and pour it into a clean mixing bowl. Remove the vanilla bean. Chill over an ice bath, then refrigerate until needed, covered with plastic wrap on the surface of the custard (this prevents a buildup of “skin” on the surface of the custard). Place one of the cakes, right side up, on a cake plate. Top with the pastry cream, spreading it right to the edges. Place the top layer, upside down, on the filling. Prepare the ganache by heating the cream to a simmer either on the stove in a small saucepan or in the microwave. Add the chopped chocolate, cover, and let sit for two minutes, then stir together until smooth and lump free. Add the corn syrup and vanilla and stir well. Pour the ganache over the filled cake and serve immediately. Store any leftovers in the fridge, wrapped in plastic. Tempering the eggs, i.e. bringing them slowly up to temperature before adding them to the hot milk, helps to avoid little pieces of cooked egg in your pastry cream. If however you do see some egg pieces, straining the cream through a sieve will take care of them. Don’t toss that spent vanilla bean…instead rinse the bean, then place in a jar and cover with vodka to make your own vanilla extract. Chop the chocolate with a serrated knife...it cuts it cleaner than a chef's knife. You can make the cakes a day ahead and chill wrapped in plastic wrap. Bring to room temperature before serving. You want the cake batter’s initial sugar/egg mixture to fall as thick ribbons before continuing with the recipe. The cake batter will be thin (top), and be careful not to over bake the layers (middle). Using parchment paper helps the layers to release easily (bottom). 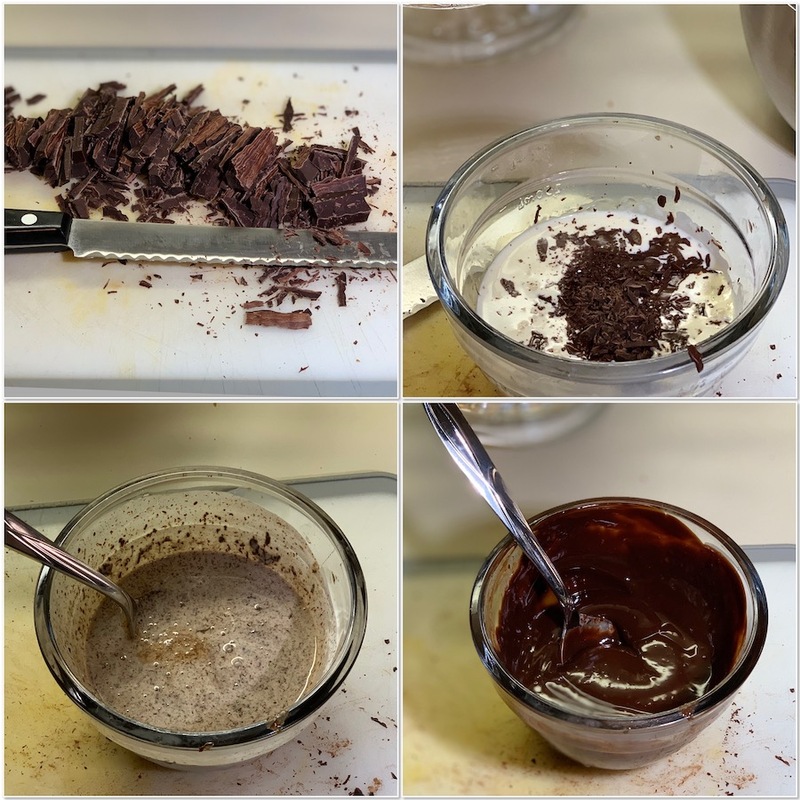 Making ganache is the easiest step of all…add chopped chocolate to hot cream, let sit a couple of minutes, then stir, stir, stir. 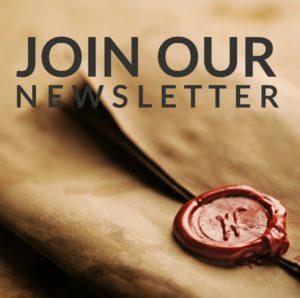 Your efforts will be highly rewarded! 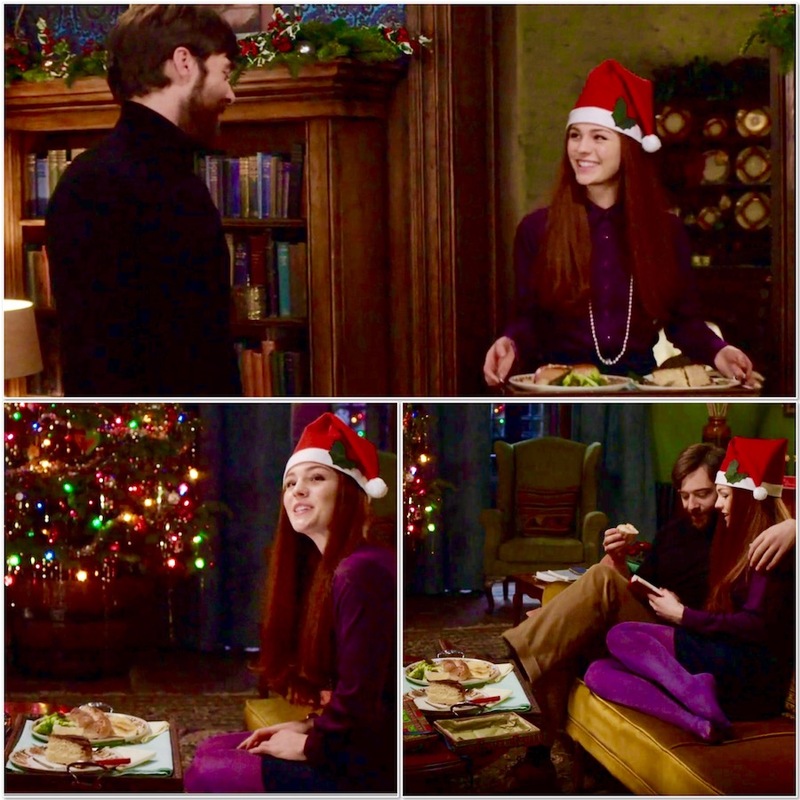 Brianna wanted to make Roger’s first American Christmas extra special, even as she mourned Claire’s departure. Her consideration on that small point helped start their relationship. 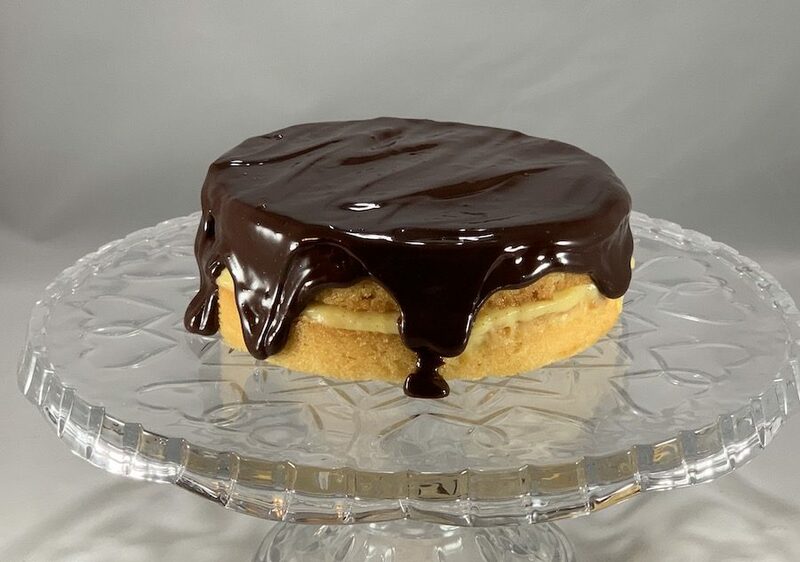 Mini Boston Cream Pie is an indulgence, to be sure…yes, it has a few extra steps than regular cake, but when you’re trying to make an event extra special, it’s well worth the effort. And the results…well…I call it chemistry. Mini Boston Cream Pie is an extra special dessert in my family. What’s your family’s special dessert? 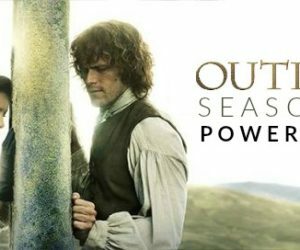 Discovering Outlander after Season 1 first aired, Tammy quickly went down the rabbit-hole on social media and podcasts and found a world of like-minded fans who not only tolerated her obsession, but encouraged the madness! She combined her Outlander-inspired interest for scotch whisky with her continuing passion for baking and storytelling in her blog, Scotch & Scones…Explorations in a glass and in the oven. 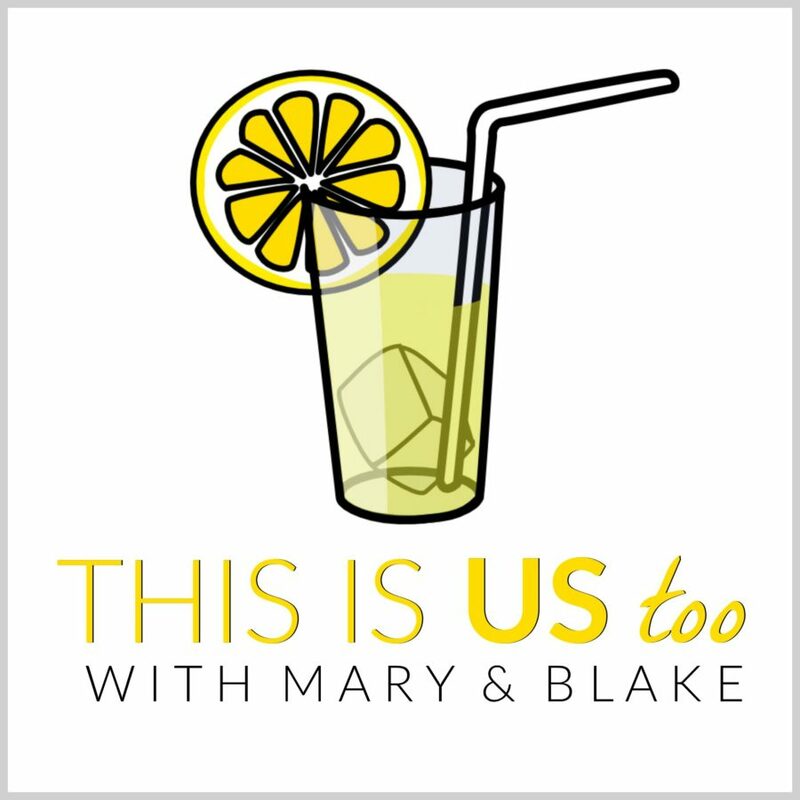 Joining the staff of Outlander Cast as the resident baker has brought Tammy full circle, from a podcast fan to a contributing writer. 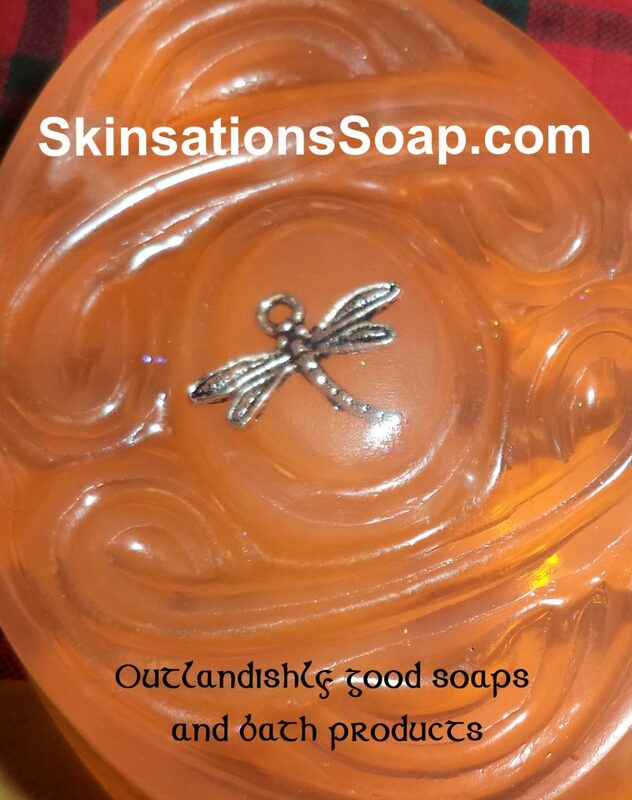 You can follow her on Twitter, Instagram, and Pinterest at @scotch_scones, and find her on Facebook at @scotchandsconesblog. Our super-duper special family dessert is Milky Way cake, made with – you guessed it – Milky Way bars. Yes, it’s as insanely decadent as it sounds. Wow, Charlotte…Milky Way cake sounds a-mazing! I’d love to learn how it’s made. I’m flattered! Sorry it took so long to get back to you. Work’s been ridiculous this week. I wish I could tell you where I got this, but I don’t remember. It’s been in my little personal cookbook for more than 30 years. Use a tube pan (aka bundt pan) for this recipe. Grease and flour pan. Preheat oven to 350 degrees. Cut up candy bars (actually, pull them into pieces, don’t bother with a knife; they’re sticky). In a saucepan over low heat, melt candy bars with one stick of butter, stirring until smooth. Remove from heat and allow to cool. Beat remaining stick of butter with sugar until light and fluffy. Add eggs one at a time, mixing well after each addition. 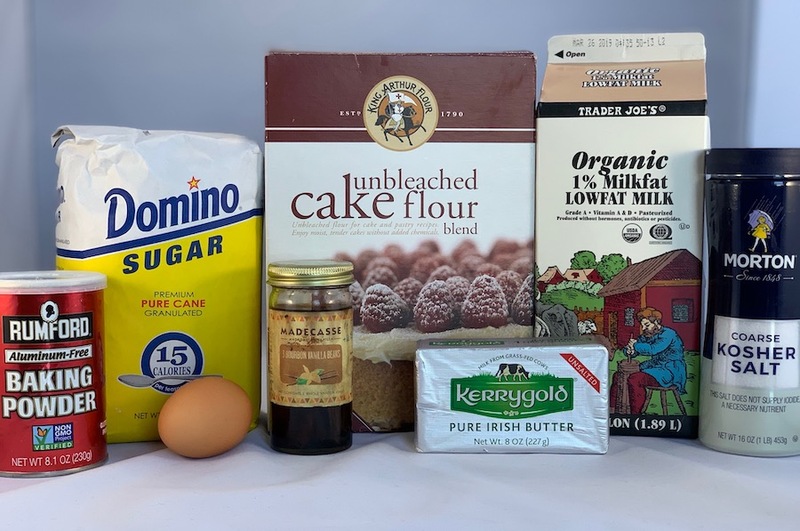 Stir together flour and baking soda and add to the butter/sugar/eggs mixture alternatively with sour cream or buttermilk, mixing just until dry ingredients are moistened. Blend in cooled Milky Way mixture, vanilla and nuts. Pour into pan. Bake for 1 hour, 20 minutes, or until top springs back when touched. Cool at least 10 minutes before removing from pan and cooling on rack. In saucepan over low heat, melt candy bars and butter. Gradually beat in sugar and thin to desired consistency with milk. Pour over cooled cake and allow to cool before serving. Thanks for sharing…I’ll definitely put this recipe in my arsenal of decadent-but-so-worth-it cakes! Thanks for sharing. 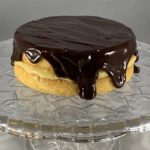 Boston cream pie has always been my favorite cake. I have never made it from scratch- only cake mix and jello vanilla pudding. I going to try this since my mother always made it from scratch for my birthday. That’s the spirit Wendy! I hoe it’s as wonderful as you remember…let us know how it goes!